Last updated: January 16, 2018 Today’s article is a real treat, because I have something that can truly help you manage your ADHD. Especially if you’re someone who loves music, and you have trouble relaxing, focusing, studying or working. If this sounds like you, then you need to know the truth about about listening to binaural beats for ADHD. Binaural Beats ADHD – What’s The Real Scoop? I’m someone who needs to listen to electronic music, classical music or binaural beats in order to write articles like this one. So, I’ll tell you right now that there’s power in the type of music that you listen to. And, when it comes to listening to music specifically for your ADHD, there’s something extremely special about binaural beats. Regardless of what the critics have to say. When something works for me, I write about it so that you can get the inside scoop. Binaural beats genuinely work for me, and I’m confident that they’ll work for other people with ADHD too. 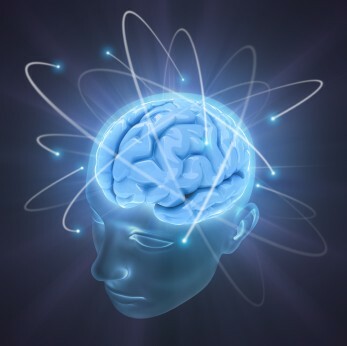 How Do Binaural Beats Work For ADHD? A binaural beat is an auditory illusion perceived when two different pure-tone sine waves, both with frequencies lower than 1500 Hz, with less than a 40 Hz difference between them, are presented to a listener dichotically (one through each ear). For example, if a 530 Hz pure tone is presented to a subject’s right ear, while a 520 Hz pure tone is presented to the subject’s left ear, the listener will perceive the auditory illusion of a third tone, in addition to the two pure-tones presented to each ear. The third sound is called a binaural beat. A binaural beat is actually a perceived illusion that’s created when you listen to two tones simultaneously. In other words, when your ADHD brain picks up on two tones that have different frequencies, a third ‘auditory illusion’ is created, which is a binaural beat. But, what exactly does this do for you? 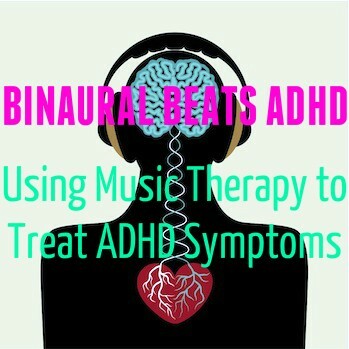 To put it simply, binaural beats can make people with ADHD feel like they’ve entered an altered state of consciousness (perhaps just like using a natural ADHD remedy). Depending on the type of beats that you listen to, you can use binaural beats to work for extensive periods of time, study, relax or meditate. 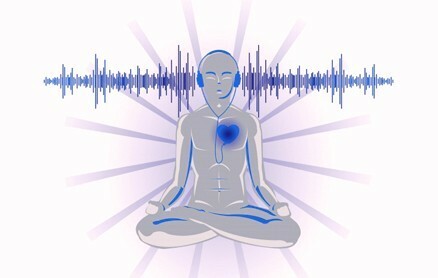 The findings of some contemporary research suggests that listening to rhythmic sounds, especially percussion, can induce the subjective experience of a non ordinary states of consciousness (NOSC), with correlating electroencephalogram (EEG) profiles comparable to those associated with some forms of meditation, while also increasing the susceptibility to hypnosis. Specifically, some investigations show that the electroencephalogram (EEG) readings attained while a subject is meditating are comparable to those taken while he or she is listening to binaural beats, characterized by increased activity in the Alpha and Theta bands. So, research has shown that when people meditate, undergo hypnosis, or listen to binaural beats, EEG readings all indicate similar brain patterns. If this research is solid (which I tend to believe based on personal experience), then listening to binaural beats could prove to be one of the easiest and most effective ways to improve your state of consciousness while dealing with ADHD symptoms. Most people with ADHD find the act of meditating to be difficult. But, listening to binaural beats? That’s easy. And anyone can do it. Where Do You Find Binaural Beats For ADHD? Before you go searching for binaural beats, keep in mind that you need a high-quality pair of headphones to make binaural beats work. Remember how your headphones have to be able to transmit two separate frequencies at the same time before binaural beats can be created? That usually requires an expensive pair of headphones to make happen. I have a good recommendation for a not-so-expensive pair of headphones that work amazingly well for listening to binaural beats. You can find my binaural beats headphone recommendation a little bit further down in this article. For now, let’s talk about the best binaural beats for ADHD. There are all kinds of binaural beats scattered across YouTube. You can obviously listen to all of these free of charge. Since I’m a workhorse, I usually listen to uplifting binaural beats so that I can focus better while doing my work. But, I love all kinds of beats. Here are some good binaural beats for you or your kids to listen to. A lot of people with ADHD like to use binaural beats that are in within the range of 20Hz for greater focus at work, school or home. The following binaural beat uses frequencies that are between 11.5Hz and 14Hz. So, you should definitely feel something ‘unique’ happen while you listen to this beat. Meditating is one of my all-time favorite activities for dealing with ADHD symptoms. At the very least, this meditation binaural beat will help you clear your mind. At best, you’ll feel like you just came back from vacation (that’s what it feels like to me, at least). I like this binaural beat because it sounds a little bit grungy. But, it actually provides a great beat for ‘confronting’ your fears and anxiety, and flushing away your negative emotions. 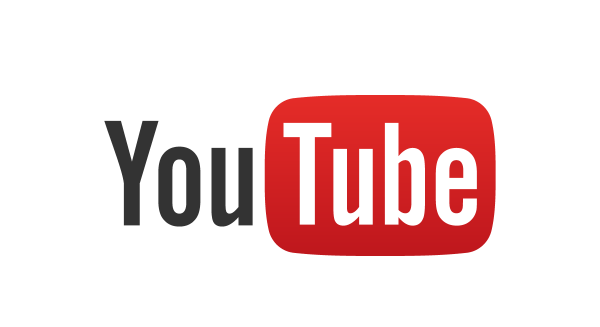 There are plenty of other binaural beats on YouTube and the internet that you can listen to. You’ll just have to do a little bit of searching to find some other binaural beats that you enjoy. Everyone is different. So, you’ll probably have some unique preferences when it comes to the binaural beats that work best for your brain. Remember that these binaural beats aren’t going to sound great on your laptop or smartphone speakers. Binaural beats work because of the delicate frequencies that they transmit. So, it’s best if you use some high-quality headphones to listen to binaural beats. If you don’t have high-quality headphones, that’s OK. Just check out the section below for an affordable headphone recommendation for listening to binaural beats. Most high-quality headphones sell for hundreds of dollars. However, I personally use a pair of Sennheiser headphones that’s affordable, and perfect for listening to binaural beats with ADHD. The Sennheiser HD 280 Pro Headphones (Amazon) are budget-friendly, extremely high-quality and portable. These headphones can easily pump out the delicate tones (at separate frequencies) that are needed to help you or your child relax, focus, work, study, meditate or sleep. I imagine that the Sennheiser HD 280 Pro Headphones (Amazon) would make for a great gift, as well as a cognitive performance enhancement tool for helping to treat ADHD symptoms. They’re ultimately a really powerful set of headphones that will help anyone improve their life with ADHD. Think of it as a long-term investment (these headphones last practically forever). 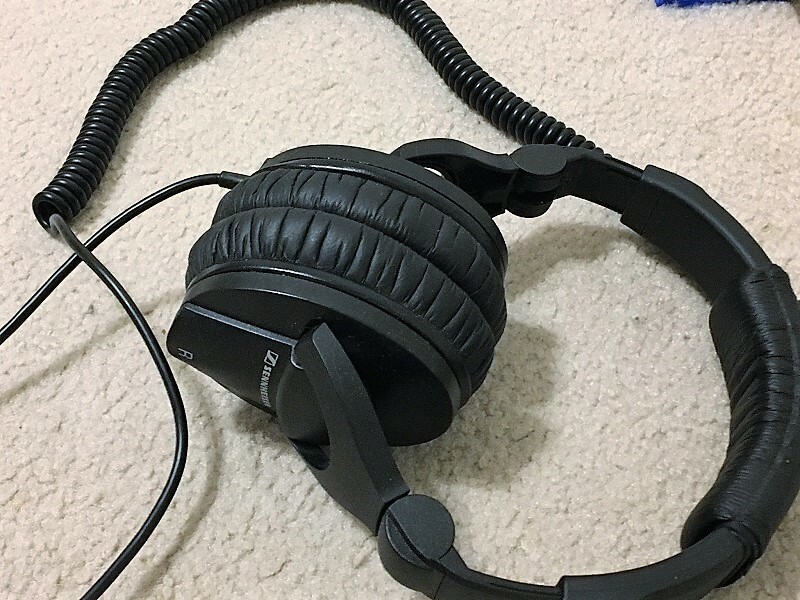 If you aren’t yet listening to binaural beats to soothe your ADHD symptoms, I hope that you grab a pair of great headphones soon, and get to listening. I’ve never felt something in my brain shift quite like when I listen to binaural beats. It happens every single time. It’s like meditation in audio format. If you find any other useful binaural beats for ADHD symptoms, make sure to let me know in the comments section below. Hey Elizabeth. Thank you for your comment. Your concern is definitely a valid one. If you search PubMed for the term “Binaural Beats” – you can see that some interesting studies have been conducted. I hope this helps you and your clients Elizabeth. I wish you the best going forward. Just let me know if you have any other questions. Thank you for this amazing site and all of your services . Long story short, i am still learning about it, and one thing that i need to know for sure (between lots of things) ., THAT i am left handed so ” is my hemispheres are different than other people meaning that my left hemisphere is more active and i should leasen to binaural beat in oopposite way (meaning left ear in right , right ear in left) . I really preciat if you help me. Wow this is a very interesting question that I’ve never considered before Kamyar. Can you try listening to the binaural beats left ear in right, and right ear in left, and see if that works?